Can One Race Be Superior to Another? Panic and pessimism aside, there is room for sober reflection on the nature and context of what is currently transpiring across the West. We may be aghast at these developments, but we cannot pretend to be surprised by them. This latest demographic onslaught is merely the gross acceleration of a process that has in fact been several decades in the making. The invasion didn’t start last week, or last year. The invasion started when we handed over power and influence in politics, the media, education, and finance to foreign, treasonous and hostile elites. 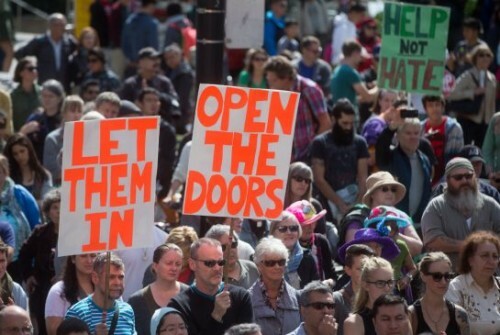 Unlike previous invasions, the hordes now streaming into White nations aren’t armed. They don’t have to be. The keys to our territories were handed over many years ago, when we allowed the gates of our culture and the minds of our children to be infiltrated by perfidious doctrines. The territories the dark peoples are presently engaged in seizing are not robust, cohesive White nation states. If they were, we could rest assured that the invasion would fail. Unfortunately, the majority of White nations are now characterized by apathy, cowardice, degeneracy and wanton self-destruction. Following from that fact, there is little or no resistance. The West has doused itself in gasoline for decades — now is simply the moment of its self-immolation. One of the incapacitating factors behind the lack of resistance is that oft-heard word: ‘refugee’. Shakespeare famously wrote that a rose by any other name would smell as sweet. To the rational and informed thinker, an invader by any other name would sound the same alarm. But to the sheep-like masses, the word ‘refugee’ has an almost mystical power: it is provocative and emotive. It is morally compelling to a greater extent than ‘immigrant,’ ‘migrant,’ or even ‘asylum seeker.’ It conjures images of war zones, mass devastation, starvation, destitution, and genocide. It isn’t so much a noun as a call to action, working feverishly on the minds of media-incubated pathological narcissists who live in search of new opportunities for virtue signalling. I lost count of the number of people I encountered last week who were eager to engage me in casual conversation on the fashionable topic of “refugees,” and macabre images of drowned infants. The level of my ensuing disgust was only matched by the level of their confusion when I attempted to pull the wool from their eyes. Ask any one of these sleepwalkers some searching questions about the extent of their knowledge concerning the relevant politics, geography and sociology of the current crisis and you will draw a blank every time. They want “fast-food” news and politics — bite-sized chunks that make them feel intelligent and good about themselves, and of course, that’s exactly what the media gives them. Don Marquis once observed that when you make people think they’re thinking, they will love you — but if you really make them think they will hate you. Ask them to sit down to a five-course banquet of increasingly complex demographic, economic, political and sociological themes and you will soon find that the erstwhile bubbly conversationist has been replaced by a lethargic drone. What they want are the quick and easy buzzwords and phrases that act as approving signposts for what they perceive to be virtuous action: “refugees,” “women and children,” “starving,” and “drowning.” Just don’t tell them most of the migrants are male, that they have been filmed throwing away food, and that they often drown each other for tribal reasons. When I wrote “Drowning in Altruism,” now almost six months ago, I sensed that the manipulators of public opinion were very keen to make drowning the emblem of the invasion of Europe. This didn’t require any psychic or prophetic powers on my part. As the article made clear, the level of exaggeration and misrepresentation surrounding the drowning of illegal invaders indicated that a high level of media manipulation was involved. Such emblems are incredibly important in provoking moral outrage, and they have proven the best and most enduring form of the Trojan horse. For over a century, Jews have been highly adept at creating emotive emblems for their alleged sufferings. Between 1880 and 1905, Jewish journalists and community activists invented the emblems of murdered babies and “hacked off breasts” in order to present themselves as victims during what were essentially a series of economically-motivated, low-level, inter-ethnic squabbles in the Russian empire. It was during the mass exodus of Jews from Russia at this time that the word ‘refugee’ first came to be used on a similar scale to what we are seeing today. Under this label, more than 1.5 million Jews gained relatively easy entry to the United States, with all of the attending consequences. Mass Jewish migration to the West (1880–1910) proceeded under many of the same lies cloaking the true motivations of the current crop of “refugees.” These lies, succinctly expressed, amount to the narrative that the “refugees” are fleeing large-scale violence, as well as religious, political or cultural oppression. In both cases, the lies cover the true nature of the migration — the mass movement of peoples for economic and material enrichment. Nothing, then, about the propaganda emblems that acted as a key to unlocking the gates of the West. No apologies to the duped millions who protested, donated, and agitated on behalf of their own future competitors. Atrocity emblems accompanying mass population movement rarely have any basis in fact. These movements are motivated much more frequently by the banalities of human need and competition. In these mass migration scenarios, areas experiencing population growth will produce a young “transition cohort.” This large cohort crowds the home labor market, lowering wages and increasing the net benefit of migration. Because the home markets cannot manage their own growth, they export the surplus cohort, presenting the intended destination countries with objective social problems, prominently, but not exclusively, in the form of competition for resources now experienced by the indigenous youth cohort. In the United States c.1900 the impact of the Jewish cohort was not felt immediately — it was felt most acutely for the first time when the next generation came of age and indigenous White youth were forced to compete with Jews for Ivy League places etc. The competition was severe, leading to the introduction of the numerus clausus and eventually the 1921 Immigration Act. However, native birth rates in 1900 were still of a sufficient level for the competition to actually take place. By contrast, with declining birth-rates across the West, and the world’s lowest in Germany, the importation of African and Middle Eastern cohorts represent the incomparably worse scenario of wholesale displacement rather than impending competition. Political disquiet can be a convenient mask for the demographic and socio-economic drivers of mass migration outlined by Boustan. While there has been much talk about Syria as a zone of war and destruction, little has been made of the fact that, like the Russian Jews in 1880, it has one of the highest population growth rates in the world (2.4%). In the seven least-developed of Syria’s 14 governorates, women have between 3.8 and 6.2 children. Their fertility rates are not expected to decline much in the next 15 years. In 2010, Nabil Sukkar, a Syrian economist formerly with the World Bank, said “We have a population problem, no question. Unless we cope with it, it could be a burden on our development.” Sukkar said labor supply was growing about 4.5 percent a year, due to rapid population expansion in earlier decades, outpacing the capacity of Syria’s economy to create jobs for the cohort of 250,000 young people arriving on the job market every year. “Too big a population means a high burden on government services, such as education, electricity and health care,” he said. “Perhaps in 20 years the growth rate will go down to 1.5 percent as in Egypt, but in the meantime we do have a problem.” Since Syria is now exporting its entire surplus cohort, Sukkar’s problem, like the similar one facing Africa, is now Europe’s problem. 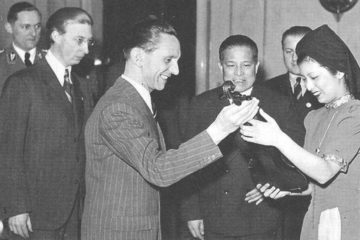 Faced with entirely fictitious emotive emblems, Westerners flocked to set up ‘Refugee Committees’ and other charitable organizations for Jewish migrants, and many attended protests agitating for the easing of immigration restrictions that inhibited the easy entry of the poor victims. Sound familiar? Looking at the crisis we face today and the hordes of duped White liberals, can we really see any difference? Of course, Jewishness and the concept of the refugee are intimately bound up together. Like Jewishness, the concept of the refugee rests on alleged victimhood, temporariness, flux and statelessness, as well as heavy emphasis on Western guilt and moral obligations. Jewish intellectuals have been at the forefront of both critiquing native reactions to so-called refugees, and shaping the way “refugees” should be seen by contemporary society. One of the best examples is British refugee “expert” Professor Tony Kushner. 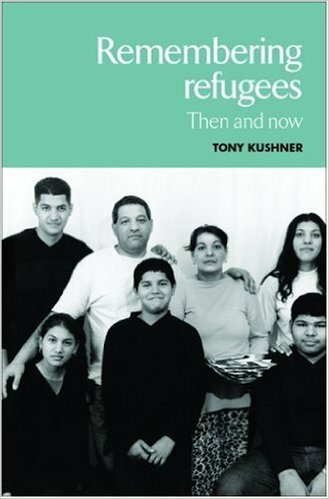 In Remembering Refugees: Then and Now, Kushner attempts to portray historical and contemporary “refugees” (exclusively non-White), as victims of societies bent on harshly misrepresenting them. He writes that “Refugees themselves, often, by necessity and circumstances, marginal figures, rarely can shape the dominant images others hold of them — especially as their representations are fashioned more by myth than reality.” One could very easily substitute ‘refugees’ for ‘Jews’ to gain an insight into Kushner’s own self-concept. More pertinently though, his entire argument is bankrupt. As discussed above, Jewish ‘refugees’ from nineteenth-century Russia expertly fashioned their own mythological representation as victims of harsh and violent oppression, and found shaping the dominant images others held of them rather easy. Similarly, the contemporary Jewish-dominated media is making light work of shaping majority images of the current population movement into the West, and the “refugees” are the chief beneficiaries, rather than victims, of this process. Kushner’s work is both a panegyric to the wholly-imagined “contributions” of “refugees” and immigrants, and a bitter condemnation of a Britain that imposed “draconian measures” against successive waves of “desperate” victims. Kushner writes of an “open season” on asylum seekers during the late 1990s, a period when Britain actually ushered in the fastest rate of foreign immigration in its history, resulting in an acute housing shortage and an ill-fated inflation of property values. When not condemning Britain for refusing to open its doors to hundreds of thousands of Roma Gypsies, Kushner teaches courses for White English students on “Refugees in the Twentieth Century.” Rather tellingly, he also teaches a course titled “The Making of Englishness,” which advances the familiar Jewish argument that White nationalities and identities are simply harmful, diseased, “racist” constructs which should be slated for destruction if the world is to enter a better age. Demographic dilution, if not total annihilation, is the surest way of weakening and destroying a working sense of national and ethnic identity. Supporting refugees, whether by political agitation, propagandizing their fabricated tales to White students, or helping to mould and disseminate their emotive emblems, thus fits the goals and aspirations of organized Jewry very well. In the United States, organized Jewry is working hard to get the government to take in more “refugees,” and is using its own fabricated “refugee” history as moral leverage for this activism. But the supposed altruism of these Jews is as false and misleading as the “refugee” history they continue to scam the masses with. Often these links are organic. One of the most prominent Jewish organizations working to bring Syrians to the United States is the Hebrew Immigrant Aid Society (HIAS), founded in 1881 to assist the masses of Jewish economic migrants masquerading as refugees fleeing baby-roasting, breast-hacking Russians. HIAS has come a long way from its days organizing protests on behalf of the “persecuted Jews of Russia,” and it has chalked up many successes in the effort to break up Western ethnic homogeneity. Along with other Jewish organizations, it played a prominent role in overturning America’s 1921 Immigration Act, opening the nation up to vastly increased Third World immigration. In addition to its world headquarters in New York City, HIAS maintains offices in Buenos Aires, Djabal and Goz Amir, Chad, Nairobi, Quito, Ecuador, and Tel Aviv. 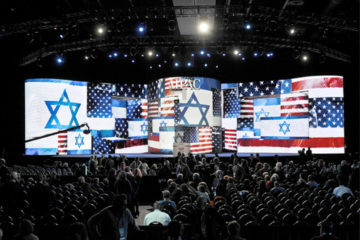 Since its beginnings, this organization has been party to the immigration of more than 4.5 million individuals, the vast majority of them Jews and non-Whites, to the United States and other White nations around the world. And despite its high-flown rhetoric (“Welcome the Stranger; Protect the Stranger“), Leonard Glickman, former HIAS president and CEO, is quite aware that what his organization is doing is good for the Jews. As he once put it, when asked why his organization was importing Somali Muslims: “The more diverse American society is the safer [Jews] are.” HIAS has had remarkably little success in resettling non-Jewish refugees to Israel. Traditionally, the United States has taken it upon itself to admit half the refugees worldwide who are identified as being in need of immediate resettlement. Experts anticipate that by the time the refugee evaluation process is completed, some 400,000 will be recognized as needing resettlement. This will present America with a request to absorb 200,000 Syrian refugees. But U.S. resettlement quotas now stand at 70,000 people total, from all over the world, per year. HIAS and Jewish groups are asking to increase this quota to 100,000 per year. Melanie Nezer, HIAS Vice-President, has appealed to the lachrymose and mostly fabricated narrative of Jewish history, stating that: “As a Jewish community, we understand what it means to be refugees without getting any help. We would have been in a different place if the world had stepped up then.” No mention of the millions of Jewish ‘refugees’ who gained easy entry to the West on a series of lies between the years 1880 and 1914. Surveying these latest events I could only recall the old saying: “Fool me once, shame on you. Fool me twice, shame on me.” The patterns we are seeing today are mere replications of older follies. Emotive emblems, pathological altruism, a lack of long-term thinking, a complete absence of rational analysis. We’ve been here before. We’ve seen the same phrases and the same lies. The nineteenth-century Jewish invasion of the West ushered in our cultural decline and a loss of control over our political, economic, and spiritual destiny. The twentieth-century multi-ethnic invasion of the West, which will continue long after the resettlement of the Syrians, will usher in our demographic oblivion. With horror we see the truth: We are refugees in our own lands. Y. Ro’i Jews and Jewish Life in Russia and the Soviet Union, (Frank Cass, 1995), p.37. T. Kushner, Remembering Refugees: Then and Now (Palgrave, 2006), (p.1). Insane Social Justice Warriors: Reading to Your Children Confers "Unfair Advantage"
The so-called ‘refugee’ problem is now the problem of the men of the West because the Jews are well-aware of the white man’s greatest weakness, his ‘kryptonite’….his overwhelming compulsion for self-destructive altruism. One of the many ironies about the Judeo-Christians who are committing racial suicide is their inability to remember the purpose of the ‘Old Testament’ stories of their Bible……to provide admonition for contemporary believers so they do not repeat the mistakes of their ancestors. One such story is in the book of Jeremiah. One translation of verse 10 says “Give us no more visions of what is right! Tell us pleasant things, prophesy illusions.” This verse states so plainly the very trance that Western liberal Judeo-Christians are under today. The self-immolating delusion that if they are told easy things, smooth things, that everything will be OK.